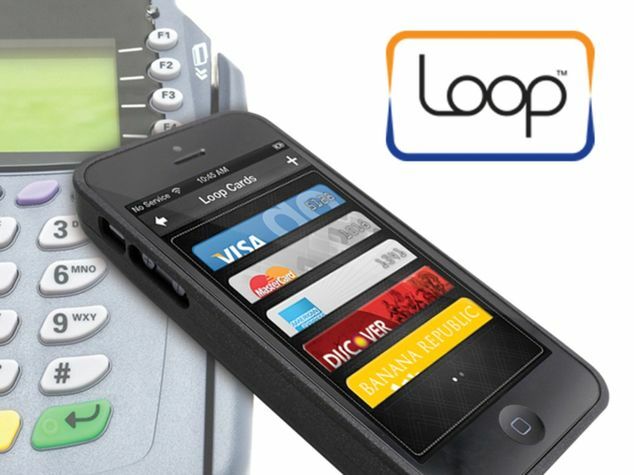 Samsung has bought its own Apple Pay competitor with LoopPay, a U.S. startup that makes cases and accessories for wirelessly transmitting card data with a magnetic signal. First rumored back in December, Samsung will allegedly integrate LoopPay’s technology into its upcoming phones in an effort to ride the growing mobile payments trend created by Apple Pay. “We are excited to take our relationship with LoopPay to the next level, by bringing consumers a mobile wallet solution that is not just safe and reliable, but also widely accepted at more locations than any competing service,” said David Eun, EVP of Samsung’s Global Innovation Center. LoopPay prides itself on working with basically every payments terminal out there. Here’s how it works: you swipe credit cards and reward cards with a Square-like reader plugged into your phone. The app recognizes and stores the cards for you to pay with. Hold your phone with the LoopPay case on to a terminal, press a button, and a magnetic symbol replicating a card swipe is sent. A key fob can also be preloaded with cards and work the same way. The LoopPay digital payment card (similar to Plastic and other all-in-one solutions) can be placed in the phone case or used on its own. Samsung’s new Galaxy phone lineup, expected to debut next month, will assumedly integrate the technology so users can store multiple cards without needing an additional case. Apple Pay, while more secure, does not replicate traditional card swipes — Apple has been clear that it wants to move the industry away from the outdated magnetic stripe system. Instead, individual tokens are created to authenticate each transaction instead of using your actual card number, and Apple Pay requires a terminal to be equipped with NFC. A Consumer Reports study of mobile payment platforms found LoopPay to be the most accepted and convenient solution, but it scored the lowest in privacy and security when compared to Apple Pay, Google Wallet, and Softcard.